If you’re lucky enough to have a bay window, you’ll know that they add lots of light to the room as well as create the illusion that you have more space. But you’ll also know that this means that sometimes the sun is just too bright to have it streaming in all the time. That’s when blinds can come in handy. Blinds are a fantastic way to dress your windows while still keeping the stylish nature of a bay window. We’ve put together 5 ways you can use blinds to make your bay window look stunning but also keep the sun out of your eyes. The best thing about having a bay window is that you can let lots of light in. So don’t make the mistake of adding huge thick blackout blinds unless you really don’t want the sun in, if your window is in the bedroom for example. Choose lightweight roller or pleated blinds to keep bright rays of sunshine out, while still allowing sun to gently filter into the room. Since bay windows are different to the standard shape of window, made-to-measure blinds can look fantastic. Plain Roman blinds can look perfect in a bay window, but our favourites are shutters which add a period, country feel to the room. 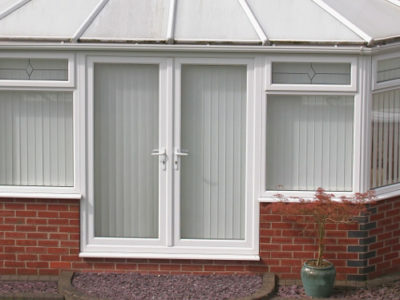 Since bay windows have a larger surface area, there is a chance of them letting more heat out of your home. If you can feel a chill, the first thing to check would be that your windows are sufficiently draught-proofed, but you can also get some fully-lined blinds that will help you keep more heat in. There are plenty of thick Roman or pleated blinds to choose from, and they can make a fantastic statement in a room. 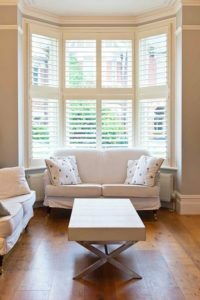 Following on from our love of shutters, tier-on-tier shutters can look fabulous on a bay window. They are blinds that open at the top and bottom separately, so you can choose which end you want opened. This makes them good for keeping your privacy by being able to keep the bottom shut but letting the sun in at the top. A window blinds expert will be able to help you choose the best option for your bay window. 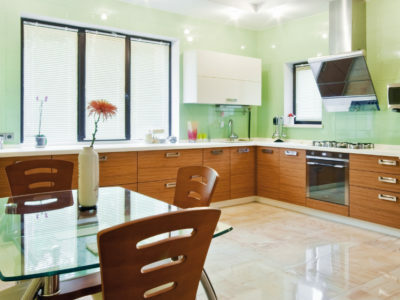 They may suggest custom-made blinds if you have a particularly unique set of windows, and they’ll have the know-how to tell you exactly what matches the style and character of your home.